Superhero blockbuster Venom saved the day at the North American box office this weekend, pulling in an estimated $80 million in ticket sales, industry tracker Exhibitor Relations reported on Sunday. The first movie in Sony's Marvel Universe, it stars Tom Hardy as a journalist who becomes the host for an alien symbiote that gives him the same superpowers as the popular Spider-Man character. 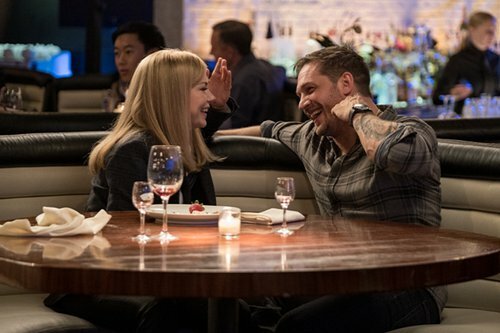 Venom was panned by critics, but comfortably broke the October opening weekend record by more than $20 million, according to Box Office Mojo figures. In second was another new release, musical romance A Star Is Born, which took in $41.2 million. The third remake of the 1937 film of the same name, it marks the directing debut of Bradley Cooper, who also stars in the film as a musician who discovers and falls in love with a young singer played by pop superstar Lady Gaga. Third place went to Warner Bros' Smallfoot, with earnings of $14.9 million in its second weekend. The comic family animation tells the story of a group of yetis who come across a human, with voicing by Channing Tatum, LeBron James and Danny DeVito. Coming in fourth was last weekend's champion, Universal's Night School, whose earnings dropped nearly $16 million to $12.3 million this weekend. Fifth place went to Universal's family-friendly offering The House With a Clock in Its Walls, which slipped from third place last weekend with takings of $7.2 million.